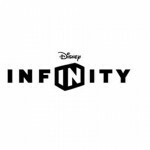 Disney Infinity, the infinite investment. Someone remind me that my wallet isn't infinite. Please. Good stuff. Now I gotta get back to building my levels. Toy Story deserves more playsets. It's literally the perfect Infinity property.